Couple of days back, I wrote about Flappy Doge, an online alternative for Flappy Bird. 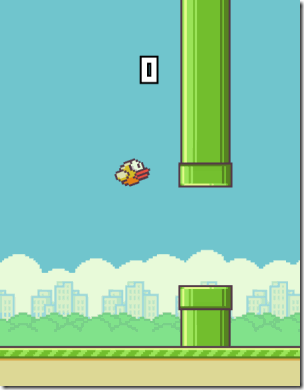 Today I found another version of Flappy Bird online that you can play in your browser. It is called… Flappy Bird! Yes, it comes with the same name, though I don’t think it has any association with the original developer of Flappy Bird. Unlike Flappy Doge, this one opens in a phone-sized interface and the bird also looks more similar to original Flappy thing. 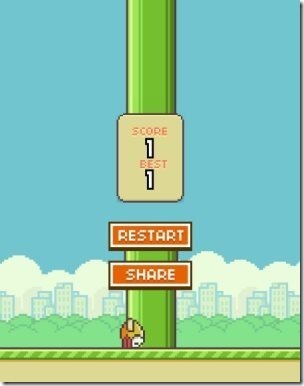 And it carries the same simplicity… just go to browser and use mouse click instead of tapping to make the bird fly. FlappyBird.io, the website that hosts this Flappy Bird lookalike, has a very simplistic interface. When you go to the website, you will be greeted by Flappy Bird in the middle of the screen. Just click on that and start clicking with mouse to start playing. Gameplay remains exactly same; though, I found this one a bit more difficult to control on my laptop. The best score I could get was just one! However, I did not observe any lags on this one and found much more responsive to touch. There are some really crazy fans of Flappy Bird out there (myself included), and decision of its developer to pull the games from all app stores has shocked us. Thankfully, there are alternatives for for both iPhone as well as Android. However, they don’t completely give the same experience. This online version of Flappy Bird is another attempt at same, and a good one at that, but cannot completely fill the gap created by original Flappy Bird going away. 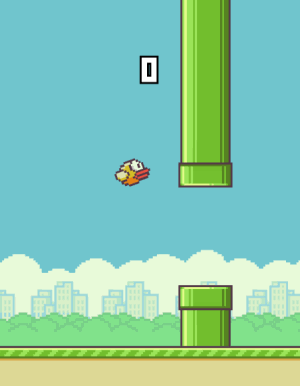 Try it out here to experience some Flappy Bird fun in your browser.